We are one of the leading authorized distributor, supplier, trader & Stockist of Baumer Pressure Gauge. Our product range includes all types of SICK, and Testo Products. We do Thermography Services also. We are one of the leading wholesale and distributors of Pressure Gauge. 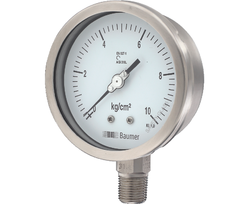 Looking for Baumer Pressure Gauges ?